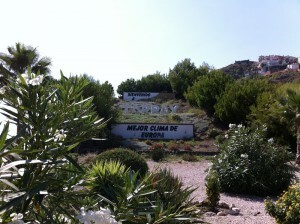 A warm welcome to Cortijo Amaya! Cortijo Amaya is a charming and cozy B&B in the south of Spain, less than 60 kilometers from Malaga airport. From our restored Andalusian farmhouse you have beautiful sea views and you can enjoy the sunrise and sunset. In the garden you will find a large swimming pool (May-Oct), a tennis court, an outdoor bar and three terraces. The location of Cortijo Amaya is special: an authentic “rural hotel”, just 800 meters from the beach and the nice boulevard de Torrox-Costa. 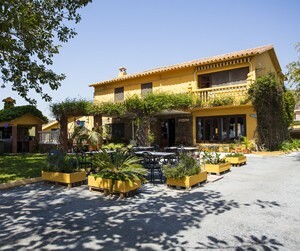 Nowhere else on the Costa del Sol you will find a “rural hotel” this close to the beach. Start your day with a delicious breakfast in our dining room or outside on the terrace. Then you can spend the day relaxing and enjoying the tranquility of the Cortijo. Drinks are available all day. Or go out to explore! The area has a lot to offer, both culturally and in terms of activities. It will be our pleasure to help you plan a special day in the area. Cortijo Amaya, more than just a bed!